MR enterography: what is next after Crohn’s disease? Within the gastrointestinal system, the small bowel represents the most difficult site to approach with imaging modalities. During the last decades, magnetic resonance enterography has reached an increasing interest, up to be considered an essential part in the diagnostic framework of Crohn’s disease patients. Nevertheless, the distention of the intestinal loops provided by the administration of oral contrast medium, the possibility of a dynamic evaluation, and the lack of radiation exposure are huge advantages that can be exploited for the assessment of other clinical conditions affecting the small bowel. Physicians and radiologists should be aware of the possibilities offered by this technique, looking at it as a trustful alternative to the well-worn radiological examinations. 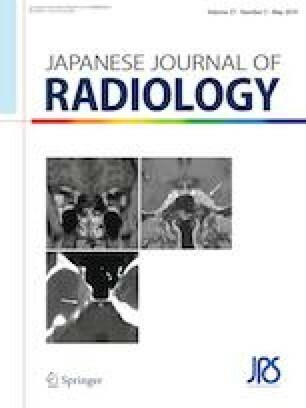 In this respect, the purpose of this work is to show some uncommon clinical conditions that can be assessed with magnetic resonance enterography and that fall within the various differential diagnosis of the intestinal disorders. The authors declare that and they have no conflict of interest. This work was in accordance with the ethical standards of the institutional and/or national research committee and with the 1964 Helsinki Declaration and its later amendments or comparable ethical standards.